Why Does The Crawl Space Matter? 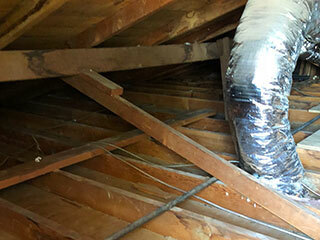 There are a lot of important components involved in your home that are located in the crawl space beneath it. Pipes for your water and cables for electricity both run through the space to be able to transport these daily needs easily around the household. If the area is not regularly checked on and cleaned, damage can occur to these systems and cause them to be unable to work correctly and create trouble when it comes to water flow, energy, and otherwise. Rather than losing money on wasted water and energy, or having to deal with frustration to do with either, it’s best to just allow our professionals to take care of everything for you. While it might seem that your crawl space should be safely secluded below your home, that doesn't mean it’s protected from various issues that can arise over time. Dust and debris will build up over the years and make it look like the perfect place to settle for rodents and insects. Both will create waste that can be potentially harmful, and can also damage the wood, cables, and other components of the area as well by chewing. Rodent waste in particular can carry bacteria, and during the summer months hot air will rise up from the area and enter your home. Moisture from the pipes or otherwise can also cause mold to grow and spread, which is not only detrimental to the structure but also a health risk. We use the best tools and materials and will be out right away to thoroughly clean your home’s crawl space to remove all dust, debris, animal waste, and otherwise. These areas can be difficult to maneuver, and proper gear is needed to ensure safety, which it’s why it's best to let us handle things. Call Attic Cleaning San Jose now to schedule a time that’s convenient for you.